Macro malware continues to evolve and use new tricks to evade detection. This threat is responsible for downloading malicious Trojans such as Dridex and ransomware such as Locky. McAfee Labs has previously blogged about macro malware using high-obfuscation algorithms and several other layers of evasion to avoid detection. Previous variants have used fudging techniques such as virtual machine awareness, sandbox awareness, and others. 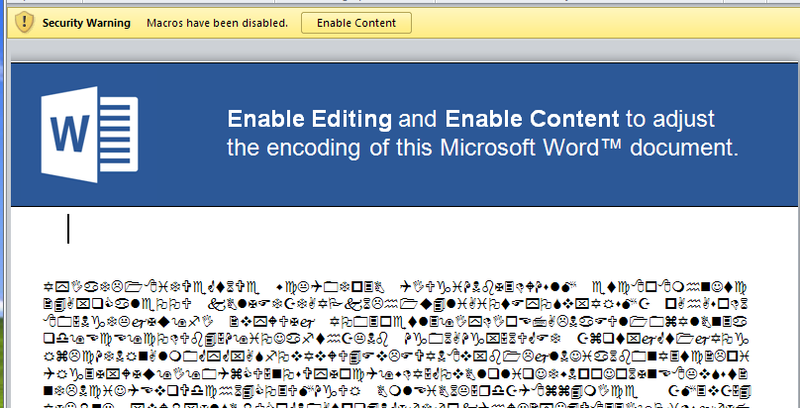 At first glance, it is difficult to guess the intentions of this macro malware. The malware hides all strings that can give a hint of its behavior. To this point, we have seen two types of string obfuscation. In the first type, two parameters are passed to get the following string. The first parameter of the function is an obfuscated string and the second parameter is a junk string that needs to be removed from the first. ResponseText1 contains the location, IP address, organization name, and other information. 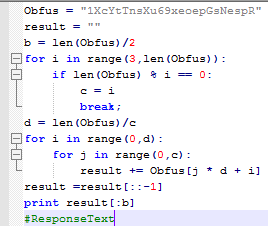 The malware checks whether the following names are contained in ResponseText1. If any of these names are present, the malware stops. It avoids executing in several antimalware and web hosting organizations, as well as in some cases in Russia and North America. After execution the malware downloads malware families such as Ursnif, which steals banking information. McAfee advises all users to keep their antimalware products up to date. McAfee products detect this malware as W97M/Downloader. Devendra Singh is a Research Scientist with McAfee Labs. He enjoys working on latest threats and figuring out ways to protect customers from them. His hobbies include playing cricket and reading books. Devendra! Thanks for the article. So this malware do not attack the anti malware and web hosting companies but how they enter into the computer systems? Through email or downloaded files from internet? Is this specifically designed for servers or general PC too? Above macro malware avoids execution if IP address belongs to any of the companies or locations contained in check list mentioned in blog. It enters computer systems through email and it is not specifically designed for servers, it works on general PCs too.